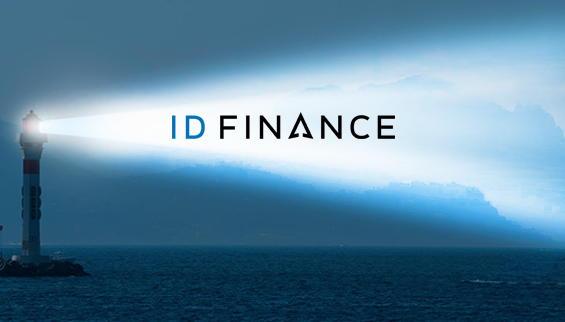 ID Finance is a fast-growing data science, credit scoring and digital finance provider that is pioneering fintech innovation in emerging markets. The company is now the largest online lender in Russia and it also operates in Kazakhstan, Georgia, Poland, Spain and Brazil. Currently, the company is planning to boost its presence in Latin America with a launch in Colombia planned for 2018. The CEO of ID Finance, Boris Batine, and the CFO of ID Finance Kazakhstan, Alexander Pak, took the time to chat with Mintos about their future plans for the company and its current offering on Mintos. What credit products do you offer to your clients? Boris Batine: ID Finance is a fintech group, specialising in data science, credit scoring and digital financial services. In the last five years, the company has turned into an international group with a revenue of over USD 100 million in 2017. ID Finance has financial services across the world, such as MoneyMan, AmmoPay, Solva and Plazo in Spain, Poland, Russia, Brazil, Georgia, Kazakhstan and Mexico. The company plays its part in developing the financial market: it offers loans to people who have no access to the banking market and it helps them create a credit history. What are ID Finance’s plans in 2018? Boris Batine: The company has issued USD 73.6 million worth of loans in the first quarter of 2018. We plan to lend a total of USD 453 million by the end of the year, which is two and a half times more than the amount of loans issued in 2017. The company will continue its active engagement in emerging markets. We will launch new operations in Colombia in 2018. In addition, new financial products will be launched in the countries we are already operating in. Our aim is to offer a larger range of products in our new and current markets. How do you perform the credit scoring? What factors do you take into account? Boris Batine: ID Finance has its own in-house tech stack. One of the company’s advantages is the fully automated process of approving and issuing of loans. We use probability methods to assess potential borrowers, based on statistics and data which we can gather from different sources. The algorithm of our innovative scoring systems use several thousands of aggregates, including multi-search technologies, machine learning, AI and data mining, internal credit histories, “national hunter” anti-fraud services, data from credit history bureaus and other external sources – for example, whether a potential borrower is paying their mobile phone bills on time. One of the more exotic parameters we use to assess a borrower’s solvency is user behavior on our website. In 2017 the company introduced a behavioral biometrics system, which allows us to identify a person by their keystroke patterns. Why should investors on Mintos invest in loans issued by ID Finance? Alex Pak: The investment conditions offered by ID Finance are among the best on the market, and we offer our loans on Mintos with a buyback guarantee. Our portfolio is strong and well-diversified across seven countries, and we offer a wide range of investment products. Our aim is to build a full-blown financial ecosystem around the customer meeting their needs at the precise time they need it. We believe that only a customer-centric approach, based on technology, will succeed in the near future. ID Finance is also well-recognised. For example, ID Finance was named the second fastest growing fintech company in the FT 1000 Europe Listing. ID Finance was also ranked 50th in the Inc 5000 Europe list. In addition, we offer investors great returns. For our Kazakhstan issued loans, investors can earn up to 17% in returns. ID Finance is currently focusing on its global expansion – how will this change your business model? Boris Batine: ID Finance is expanding rapidly across the world – in five years we have consolidated our position on seven markets, and we are now planning further expansion in the Americas. According to our forecast, 80% of the company’s joint income will be generated by sources outside Russia already by 2019. The company’s strategy focuses on strong and consecutive growth based on the diversification of financial products and of our loan portfolio. Could you tell us more about your projects in Kazakhstan? Alex Pak: Kazakhstan has a huge growth potential for the fintech industry. Around 80% of the population have internet access (70% growth occurred in the last 10 years). Also, more than five million Kazakhstani citizens now have digital signatures, which makes it easier for them to use fintech services. This number is looking to more than double in the near future. ID Finance is a prominent leader on Kazakhstan’s market, and we promote the development of the sector in this country. In Kazakhstan we offer loans through our MoneyMan and Solva financial services, which help satisfy the financial needs of different population groups. Almost a quarter of the loans in ID Finance group’s portfolio is from Kazakhstan, which makes the country an important strategic market for us. What are the special features of investing in Kazakhstan’s market on Mintos? Alex Pak: Investors may use the national currency of Kazakhstan – the tenge (KZT). This currency now has an appreciation trend, which may result in additional investment yield. Investors can see this for themselves. ID Finance has been working with Mintos since mid-April. In the first one and a half months, the exchange rate of the KZT against the Euro has increased by 7.2%. This means, during this period investors on Mintos gained a 10% yield. Whilst this trend is looking like it will be a long-term one, FX rates are subject to change and it can’t be accurately predicted and even more so, guaranteed. The main force behind the growth of the tenge is oil prices and they have been on the rise for all of 2018. Using the Mintos marketplace, ID Finance plans to fund EUR 6 million of its Kazakhstan-issued loans before the end of the year. We expect 40% of that sum will be in the KZT. Currently, Mintos occupies a 7% share in ID Finance’s structure of funding, and we plan to increase this share in the near future.